One of my favorite things during this cold time of year is hot chocolate. It is just so comforting to snuggle up with your hubby while listening to Christmas music with a nice warm blanket and a piping hot mug of liquid love! Because I love hot chocolate so much, I even craved it in the middle of summer this year and I would drink it even while 5 months pregnant, I love trying different brands and different flavors. The most recent brand of hot chocolate that I tried was Sippity hot chocolate from Southwest Beverages. On their website you can buy the flavors separately or you can buy a collection box that comes with the first five flavors mentioned above. My favorite of the flavors I tried were the chocolate peppermint and the chocolate marshmallow. I personally am not a fan of the other three types but that is my preference, it wouldn’t change with any brand of hot chocolate that I will ever try. Sippity hot chocolate is very easy to make. All you have to do is empty the packet of hot chocolate mix into 8 ounces of hot water, stir and then enjoy. Besides just making a warm cup of hot chocolate you can also try out some of their recipes that they have on their website and in an ebook from recipes their customers have made. I made one of the recipes on their website and I think it turned out pretty well. The recipe I made was their cocoa milkshake. 1. 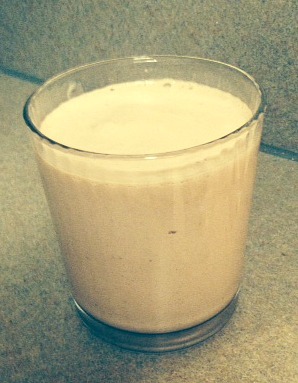 Add the water (or milk) and Sippity hot chocolate mix to a a blender and add 1/2 C of ice cream. Pulse a few times until smooth. 2. Add the rest of the ice cream (1 C) and pulse the blender until it is at the consistency you want. Now it is a drink you can enjoy not only during the cold months but also during the hot months! 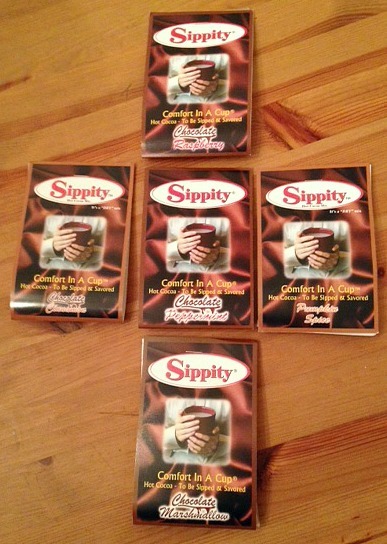 Sippity hot chocolate was one I enjoyed a lot and what a great stocking stuffer, inexpensive and delicious, perfect for anyone with a sweet tooth. 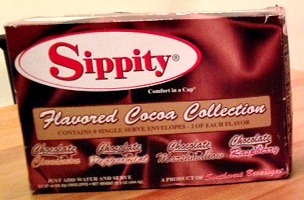 Southwest Beverages is giving away two boxes of the Sippity Flavored Cocoa Collection to one of our lucky readers! Good luck and keep warm this holiday season! To enter the giveaway fill out at least one of the entries in the rafflecopter below. The giveaway is open to those who are 18+ and in the US only. The giveaway ends 11/29 at 11:59 pm EST and the winner will be contacted by email and will have 24 hours to respond or a new winner will be chosen. Good luck! Congrats to our winner Gina Emerson! Gina, you have been emailed and have 24 hours to reply or a new winner will be chosen! « Transport your infant with ease using the Graco Aire3 Click Connect Travel System! I have not tried this brand of hot cocoa, but the Chocolate Marshmallow sounds yummy! Thanks for the chance! I would drink it in the evenings as a great way to unwind and drink something tasty. In the evening, after dinner and the kids are in bed. The house is finally quiet then, my husband and I decompress and talk about our day. Hot chocolate would make it perfect. With my kids beside the fire after sledding and playing in the snow! I think I would like to drink it in the evenings in winter because I often like hot drinks when it’s cold and don’t want to have coffee at night. I would love to drink Sippity hot chocolate when it is cold, dreary, rainey or snowny and just when I want a chocolate fix, sounds great to me and besides chocolate is really good for anytime and can brighten up your mood and emotions. Having a very difficult time with the new rafflecopter. I am using an ipad. Just so you know. I would love to drink it before bed. Favorite time for hot chocolate is after coming in from planning in the snow. In the afternoon because I always like a sweet pick-me-up at that time. After my daughter came in from playing in the snow would be a perfect time to drink the cocoa. I love to drink hot chocolate on cold winter days, it helps me relax. I love hot chocolate! Especial during the cold weather. I’m going to have to try this. This looks like a great recipe. I would drink this on cold evenings with my family to help us all unwind from busy days. I never heard of this brand. The flavors are awesome. I hope I can find it locally to try. I never heard of this brand before. The flavors are awesome. I hope I can find it locally so I can try it. Any time is a good time to drink Hot or iced chocolate. Life without chocolate on a daily basis is worthless to me. In the evening after dinner because that is my time to unwind and relax. In the evening to help me relax before bedtime. My favorite time to drink it would be in the evening while winding down for the evening. Mostly evening time when all the rush is over time to relax for a moment or two. This would be great to drink hot on a cold, winter morning! I’d like to drink it after dinner. I like to relax with a hot drink. I like to drink hot chocolate on a day like today. It was dreary and raining all day. Snuggled up with my hubby in front of the fireplace, because that is my favorite thing to do! I would like to drink Sippity on a snowy winter night to help me warm up! Thank you! Probably in the evenings after a long stressful day. They happen often. My favorite time to drink Sippity Hot Cocoa would definitely be fall & winter..it really warms your body up & tastes yummy as the same time..thanks so much. 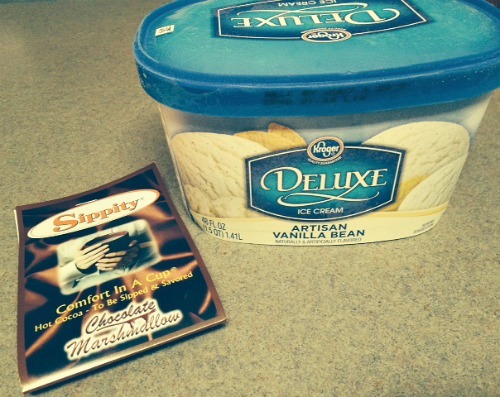 Sippity Hot Cocoa Mix because I like cocoa. While outside with the kids on a cold day. In the evening, after dinner, watching TV with my family. I would drink it when i am COLD! I love pumpkin spice in tea and putting some Bailey’s in my hot chocolate but I’ve never tried this recipe. It sounds good. I never heard of Sippity Hot chocolate, but it sounds wonderful. And the milkshake sounds even better! Chocolate Marshmallow sounds delicious and my son would love that too. Would love to try the Peppermint Sippity!